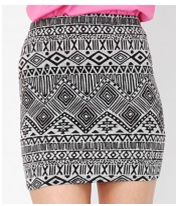 Geometric prints are really in fashion at the moment, so here’s my pick of a few skirts! River Island and Missguided have some great on-trend printed skirts, which won’t break the bank with their prices either! Black aztec print mini, River Island. £14. Pink Aztec print mini, River Island. £15. 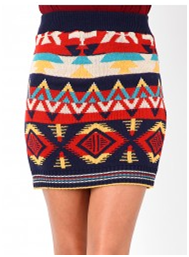 Coral aztec skirt, Miss Selfridge. 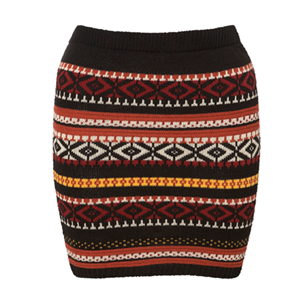 Now £19- their geometric skirts all seem to be in the sale so snap one up quickly before they go! Update on the Rocket Dog shoes- went out last night and they were really comfortable as expected, even managed to walk the 15 minutes home in them after a night of dancing! Forgot to mention they also come in an animal print design and a shiny, silky black too. Honestly, get these shoes!! I haven’t done a fashion-based post for while but as I’ve just bought some lovely new shoes it inspired me to right a post about them! They’re from Rocket Dog but I found the best price on Amazon (http://www.amazon.co.uk/Rocket-Dog-Lift-Patent-Slicker/dp/B005CTJNCU/ref=sr_1_1?ie=UTF8&qid=1325781724&sr=8-1). You can get them from other places too- Rocket Dog’s own website and Schuh for example. I haven’t actually worn them on a night out yet but they seem like they’ll be comfortable for hours! Been looking for some wedges for a while that weren’t too high and these are about 3.7 inches – pretty good height and the platform means they’re a lot more comfy to wear. 2012 will be the year of change for me, maybe I’ll do things that are out of my comfort zone to give me a challenge and help me prove to myself I can do it, maybe I’ll change certain characteristics about myself (not a re-invention but just changing my behaviours slightly) or to be honest maybe I won’t even change at all. Whatever happens I’m going to try and stay positive this year, even when faced with set-backs on the way. I think you’ve just got to soldier on through when obstacles come your way, things always turn out ok in the end, it just takes time for everything to fit together.